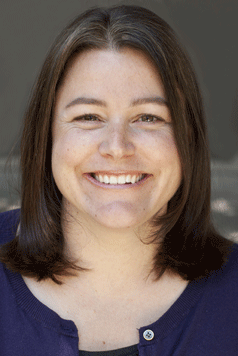 Kristen Kittscher will be at Teen Book Fest on Saturday, Oct. 12 on the Middle Grade Book Party panel in Teen’Scape at 12pm. 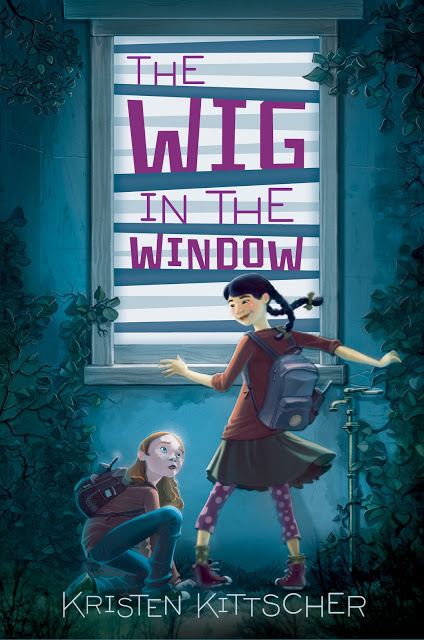 Kristen will be signing copies of The Wig in the Window at 1pm in Meeting Room B.
Kristen Kittscher is the author of The Wig in the Window, the first book in a new mystery series featuring 7th grade spies Sophie Young and Grace Yang. On a midnight spy mission, Sophie and Grace witness a grisly scene when they peer through the window of their middle school counselor. Or not...as it turns out, Dr. Charlotte Agford is just making her famous pickled beets, not hacking up a body. But then things take a turn for the weird, and suddenly, the girls begin suspect that something sinister is going on with their school counselor after all. Sophie and Grace are determined to get to the bottom of things, but the closer they get to the truth, the less likely it seems that their friendship will survive the investigation! We recommend The Wig in the Window for mystery lovers and people looking for a funny story with lots of surprises and twists. 1. Did you go on midnight spy missions like Sophie and Grace when you were growing up? Ever uncover anything sinister? That's a closely guarded secret. While I can neither confirm nor deny midnight spy missions, I will say my best friend and I had a spy club. We called ourselves the "0013 Spies Group" and had our clubhouse in a loft above her garage, where we spent an inordinate amount of time making Most Wanted posters. Thin Mint Girl Scout cookies and Diet Dr. Pepper are my twin muses. 3. If you could spend the day with one writer from history, who would it be and why? Shirley Jackson. I think she was one of the most gifted, insightful, and wonderfully strange writers there ever was. I have a feeling she also had a marvelous sense of humor, and I read once that she had over 100,000 books in her personal library. She died far too young, at 48. I read awfully pretentious things as a teen: like French existentialist plays, the diaries of Anais Nin, and Ayn Rand's The Fountainhead. I think it was because no one recommended teen books to me and the concept of "YA" books was just being born. However, I still love to read that way now, too: to just charge into the library stacks and discover new things on my own. It's an exciting feeling -- I highly recommend it! You can learn more about Kristen Kittscher at http://kristenkittscher.com/.